Buckle up for Perth Speed Fest, an adrenaline-fuelled festival of motoring and motorsport on Sunday 13 December at Perth Motorplex. Daniel Ricciardo (F1), Alan Jones (F1), Will Davison (V8s), Jack Miller (MotoGP), Wayne Maxwell (Australian Superbikes) and more. Perth Speed Fest is a huge showcase of classic, modern and modified cars and motorbikes with non-stop action on The Dirt twin track, the customised Tarmac, Extreme Tarmac, Motocross plus the rolling Motor Show of magnificent cars and bikes in their eras. Enthusiasts will love the industry and car club exhibits, and the VIP Suites and Marquee. Simply sign up to the Perth Speed Fest Newsletter and you could WIN a 2Up Thrill Ride with Australasian Superbike Champion Wayne Maxwell at Perth Speed Fest! Get your tickets for Perth Speed Fest before they sell out. 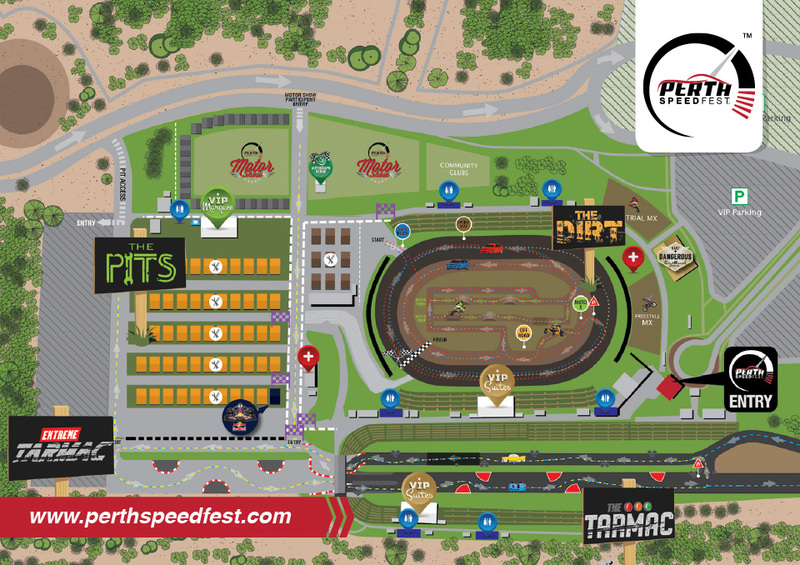 Tickets $99, $65 for children under 15 and free for under 5 years, Pit pass $50 ($60 on the day), and are available from http://perthspeedfest.com/ Don’t miss this high-octane family fun day out. $99 Adults. $65 Children 5 - 15 years. Additional $50 for pit pass. Watch the Round 6 Superbike Race 1 from Winton Motor Raceway. 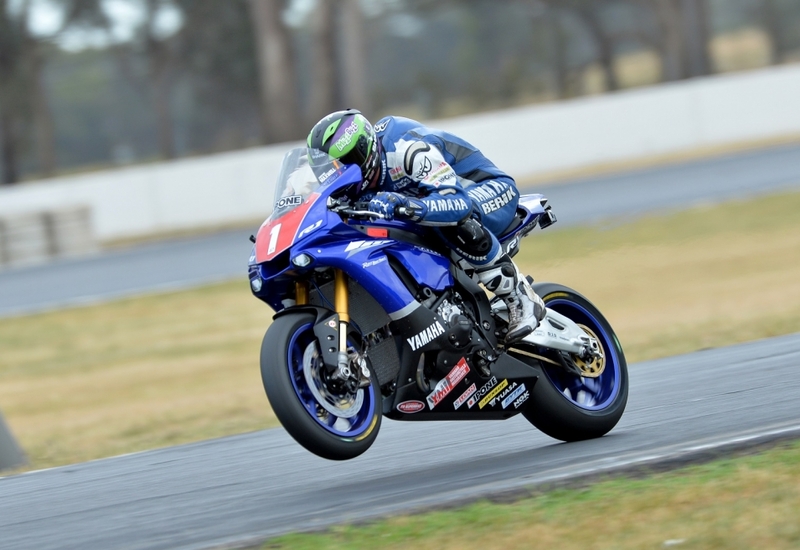 Yamaha Racing Team’s Wayne Maxwell barnstormed his way into championship contention and now sits level on championship points with Troy Herfoss in the Australasian Superbike Championship (ASC) lead after a dominating performance at Winton, taking the round victory at round six of the series. The championship is now poised for a thrilling, winner- take- all climax between Australia’s best road racers at Sydney Motorsport Park in December. Maxwell made good on his vow from the previous round to pour the pressure on and he led an impressive day for the Yamaha Racing Team with team mate Glenn Allerton taking second for the day and Cru Halliday in fourth. Maxwell, the reigning ASC champion, was disappointed with his performance at round five and was desperate to make amends when he gridded up again and he came out all guns blazing at Winton. From the moment he hit the track, Maxwell was on the pace and he dominated proceedings on Friday and Saturday and built plenty of confidence leading into the championship round on Sunday. He won all three Superbike races contested on his Yamaha R1 and has turned the championship chase on its head with his scintillating performance. He made up 16 points on championship leader, Troy Herfoss, and with just one round remaining, the fight for the 2015 title is well and truly on with both riders sitting on 316 points. “I felt like we had been building over the last few outings but it just wasn’t coming together on the day,” Maxwell explains of his previous rounds. “The team has got the new bike running sensationally and I felt I let one get away at the last round so I was determined to make a statement here and get my championship defense back on track. “The weekend here at Winton went extremely well and I was able to qualify well and then take that into every race over the weekend. Winning all three races was the boost the team needed and the reward they deserved for what has been a really busy period and with just one point between myself and Troy as well as Glenn still well in the title fight, it’s going to be an exciting final round,” he ends. Glenn Allerton has had an exceptional last few rounds and has really stepped up his pace on the R1. His performance at Winton was again fast and consistent has he posted 2-3-3 results to finish second on the day and keep himself within striking distance of the lead pair in the championship. Allerton is on 292 points, only 24 points away from the series lead and his current form suggests he will be right in the heat of battle come the final race of the championship. “On the podium again so that’s good and a good day for Yamaha with the team going 1-2-4. I had a bit of a slow start to the season but things have turned around lately and we have been a threat at every round so that is pleasing. Cru Halliday returned to form at Winton and unearthed some much needed confidence. After a couple of challenging weekends, Halliday found himself back up the front of the pack again and in podium contention. His 3-6-6 results netted him fourth overall, but more importantly, some belief his speed and talent is just under the surface. Halliday now sits fourth in the championship. “It’s pretty hard to get excited over fourth but it was a better day for me and one that I can build off. Race one I was able to charge through and make some passes and that’s how I usually ride, so things are definitely on the improve and with the last round at my home track in Sydney, I hope to finish the season on a strong note,” Halliday signs off. Team Manager, Jon Redding, was all smiles at the end of racing and pleased with his teams’ performance. “The fact that all three guys were riding well and in the results was the positive the team can take from today. The last couple of rounds has seen one guy doing well while another might struggle, but this weekend, they all rode well and put on some great racing. “Wayne has now thrust himself back into the title hunt and Glenn isn’t out of it yet either so it’s looking like a tight finish. Everyone on the team did a great job today and we are already looking forward to the next round to continue the momentum,” Redding ends. The final round of the championship will hit Sydney Motorsport Park on December 4-5 in what promises to be one of the most anticipated racing events of the year.